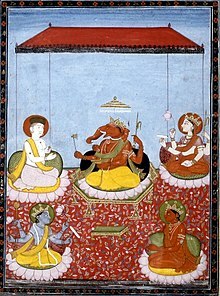 A Ganesha-centric Panchayatana: Ganesha (centre) with Shiva (top left), Devi or Parvati (top right), Vishnu (bottom left) and Surya (bottom right). Panchayatana puja (IAST Pañcāyatana pūjā) is a system of worship ('puja') in the Smartism sampradaya, which is one of 4 major sampradaya of Hinduism. and also the Swaminarayan Sampradaya. It consists of the worship of five deities set in a quincunx pattern, the five deities being Shiva, Vishnu, Devi or Parvati, Surya and an Ishta Devata such as Kartikeya or Ganesha or any personal god of devotee's preference. Sometimes the Ishta Devata is the sixth deity in the mandala. Panchayatana puja has been attributed to Adi Shankara, the 8th century CE Hindu philosopher. 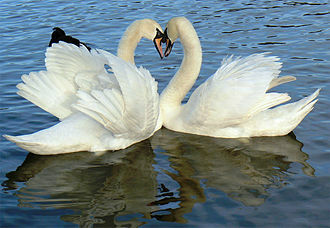 It is a practice that became popular in medieval India. However, archaeological evidence suggests that this practice long predates the birth of Adi Shankara. 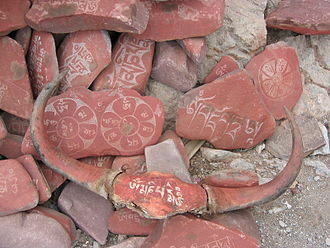 Many Panchayatana mandalas and temples have been uncovered that are from the Gupta Empire period, and one Panchayatana set from the village of Nand (about 24 kilometers from Ajmer) has been dated to belong to the Kushan Empire era (pre-300 CE). 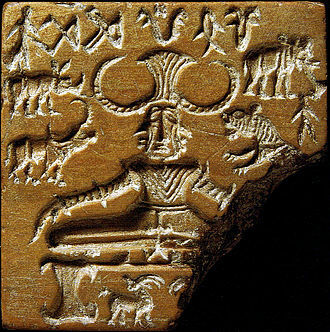 The Kushan period set includes Shiva, Vishnu, Surya, Brahma and one deity whose identity is unclear. According to James Harle, major Hindu temples from 1st millennium CE embed the pancayatana architecture very commonly, from Odisha to Karnataka to Kashmir; and the temples containing fusion deities such as Harihara (half Shiva, half Vishnu) are set in Panchayatana worship style. The typical arrangement of five icons or anicons in Pancayatana puja. 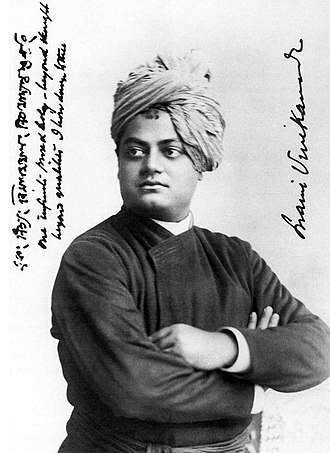 Philosophically, the Smarta tradition emphasizes that all idols (murti) are icons of saguna Brahman, a means to realizing the abstract Ultimate Reality called nirguna Brahman. The five or six icons are seen by Smartas as multiple representations of the one Saguna Brahman (i.e., a personal God with form), rather than as distinct beings. The ultimate goal in this practice is to transition past the use of icons, then follow a philosophical and meditative path to understanding the oneness of Atman (soul, self) and Brahman – as "That art Thou". Depending on the tradition followed by Smarta households, one of these deities is kept in the center and the other four corners of a square surrounding it. Either an iconic idol(s) or aniconic representation(s) or a combination for each deity is used. The five may be represented as simply as five kinds of stones called a Pancayatana puja set, or just five marks drawn on the floor. This arrangement is also represented in Smarta Pancayatana temples found in India, with one central shrine, and four smaller shrines at the corners of a square. Panchayatana puja has predominantly been a tradition within Hinduism. However, the Udasis – a tradition that reveres the Guru Granth Sahib of Sikhism - also worship the five panchayatana deities. ^ a b c d e Gudrun Bühnemann (2003). Mandalas and Yantras in the Hindu Traditions. BRILL Academic. p. 60. ISBN 978-9004129023. ^ a b Frederick Asher (1981). Joanna Gottfried Williams, ed. 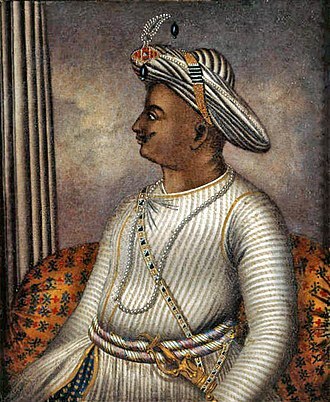 Kalādarśana: American Studies in the Art of India. BRILL Academic. pp. 1–4. ISBN 90-04-06498-2. ^ James G. Lochtefeld (2002). The Illustrated Encyclopedia of Hinduism: A-M. The Rosen Publishing Group. p. 61. ISBN 978-0-8239-3179-8. ^ Pashaura Singh; Louis E. Fenech (2014). The Oxford Handbook of Sikh Studies. Oxford University Press. p. 376. ISBN 978-0-19-969930-8. Yajna literally means sacrifice, worship and refers in Hinduism to any ritual done in front of a sacred fire, often with mantras. Yajna has been a Vedic tradition, described in a layer of Vedic literature called Brahmanas, as well as Yajurveda, the tradition has evolved from offering oblations and libations into sacred fire to symbolic offerings in the presence of sacred fire. Yajna rituals-related texts have been called the Karma-kanda portion of the Vedic literature, the proper completion of Yajna-like rituals was the focus of Mimansa school of Hindu philosophy. Yajna have continued to play a role in a Hindus rites of passage. Modern major Hindu temple ceremonies, Hindu community celebrations, or monastic initiations may include Yajna vedic rites, the word yajna appears in the early Vedic literature, composed in 2nd millennium BCE. In Rigveda and others, it means worship, devotion to anything and praise, an act of worship or devotion, a form of offering or oblation, and sacrifice. In post-Vedic literature, the term meant any form of rite, a Yajna included major ceremonial devotions, with or without a sacred fire, sometimes with feasts and community events. It is derived, states Nigal, from the Sanskrit verb yaj, the Sanskrit word is related to the Avestan term yasna of Zoroastrianism. Unlike the Vedic yajna, the Yasna is the name of a religious service, not a class of rituals. Yajna has been a part of an individual or social ritual since the Vedic times, when the ritual fire – the divine Agni, the god of fire and the messenger of gods – were deployed in a Yajna, mantras were chanted. The hymns and songs sung and oblations offered into the fire were a form of hospitality for the Vedic gods, the Vedangas, or auxiliary sciences attached to the Vedic literature, define Yajna as follows, Definition of a Vedic sacrifice — Apastamba Yajna Paribhasa-sutras 1. The Shvetashvatara Upanishad in verse 1.5.14, for example, uses the analogy of Yajna materials to explain the means to see ones soul and God, with inner rituals and without external rituals. 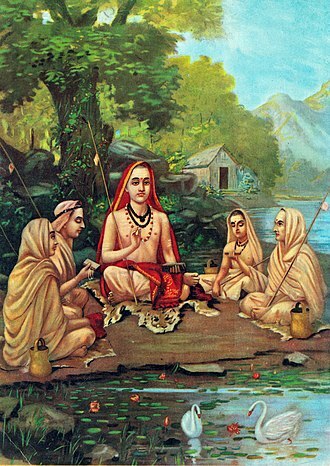 Vedic yajnas are performed by four priests of the Vedic priesthood, the hotar, the adhvaryu, the udgatar. Pūjā or Poojan is a prayer ritual performed by Hindus to host and worship one or more deities, or to spiritually celebrate an event. Sometimes spelt phonetically as pooja or poojah, it may honour or celebrate the presence of special guest, the word pūjā comes from Sanskrit, and means reverence, homage and worship. Puja rituals are held by Buddhists and Sikhs. In Hinduism, puja is done on a variety of occasions and settings. It may include daily puja done in the home, to temple ceremonies and annual festivals, to few lifetime events such as birth of a baby or a wedding. The two main areas where puja is performed are in the home and at temples to mark certain stages of life, events or some such as Durga Puja. Puja is not mandatory, it may be a daily affair for some Hindus, periodic ritual for some. In some temples, various pujas may be performed daily at various times of the day, in other temples, Puja varies according to the school of Hinduism. Puja may vary by region, deity honored, in formal Nigama ceremonies, a fire may be lit in honour of deity Agni, without an idol or image present. In contrast, in Agama ceremonies, an idol or image of deity is present, in both ceremonies, a diya or incense stick may be lit while a prayer is chanted or hymn is sung. Puja is typically performed by a Hindu worshipper alone, though sometimes in presence of a priest who is well versed in procedure, both Nigama and Agama puja are practiced in Hinduism in India. In Hinduism of Bali Indonesia, Agama puja is most prevalent both inside homes and in temples, Puja is sometimes called Sembahyang in Indonesia. Puja is an ancient culture or way of life, with unclear origins, joshi claims the word puja was first used in vedic times when Sūtra were composed, to describe prayers and worship before yajna or homa – fire deity, Agni. 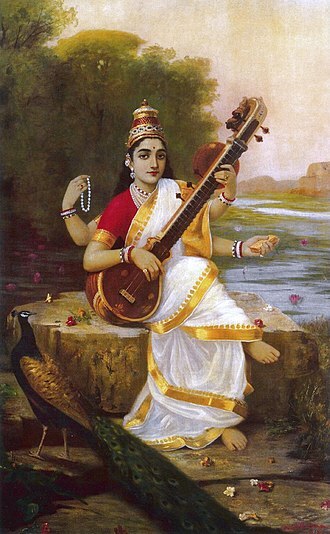 Charpentier suggests the origin of the word Puja may lie in the Dravidian languages, two possible Tamil roots have been suggested, Poosai to smear with something and Poochei to do with flowers. According to scholars, one of the earliest mentions of pūjā is in the Grihya Sutras and these Sutras, dated to be about 500 BC, use the term puja to describe the hospitality to honor priests who were invited to one’s home to lead rituals for departed ancestors. 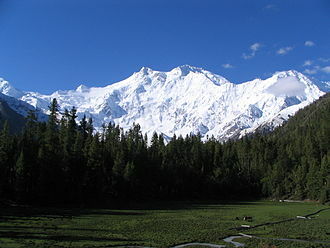 Kashmir is the northernmost geographical region of the Indian subcontinent. 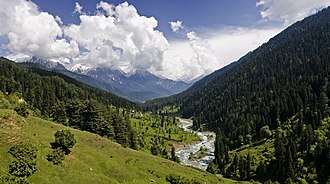 Until the mid-19th century, the term Kashmir denoted only the valley between the Great Himalayas and the Pir Panjal mountain range. 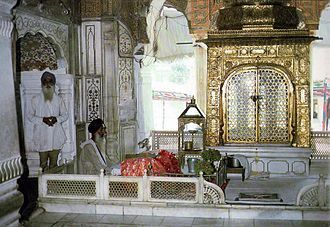 In the first half of the 1st millennium, the Kashmir region became an important centre of Hinduism and of Buddhism, still, in the ninth century, in 1339, Shah Mir became the first Muslim ruler of Kashmir, inaugurating the Salatin-i-Kashmir or Swati dynasty. 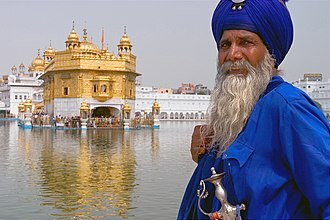 Kashmir was part of the Mughal Empire from 1586 to 1751 and that year, the Sikhs, under Ranjit Singh, annexed Kashmir. The Sanskrit word for Kashmir was, the Nilamata Purana describes the Valleys origin from the waters, a lake called Sati-saras. A popular, but uncertain, local etymology of Kashmira is that it is land desiccated from water, an alternative, but uncertain, etymology derives the name from the name of the sage Kashyapa who is believed to have settled people in this land. Accordingly, Kashmir would be derived from either kashyapa-mir or kashyapa-meru, the Ancient Greeks called the region Kasperia which has been identified with Kaspapyros of Hecataeus and Kaspatyros of Herodotus. Kashmir is believed to be the country meant by Ptolemys Kaspeiria, Cashmere is an archaic spelling of present-Kashmir, and in some countries it is still spelled this way. In the Kashmiri language, Kashmir itself is known as Kasheer, the Buddhist Mauryan emperor Ashoka is often credited with having founded the old capital of Kashmir, now ruins on the outskirts of modern Srinagar. Kashmir was long to be a stronghold of Buddhism, as a Buddhist seat of learning, the Sarvāstivādan school strongly influenced Kashmir. 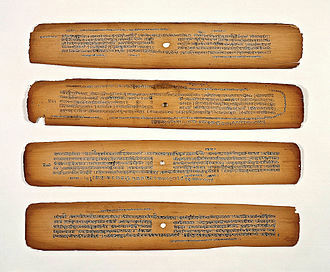 East and Central Asian Buddhist monks are recorded as having visited the kingdom, in the late 4th century CE, the famous Kuchanese monk Kumārajīva, born to an Indian noble family, studied Dīrghāgama and Madhyāgama in Kashmir under Bandhudatta. He became a translator who helped take Buddhism to China. His mother Jīva is thought to have retired to Kashmir, vimalākṣa, a Sarvāstivādan Buddhist monk, travelled from Kashmir to Kucha and there instructed Kumārajīva in the Vinayapiṭaka. 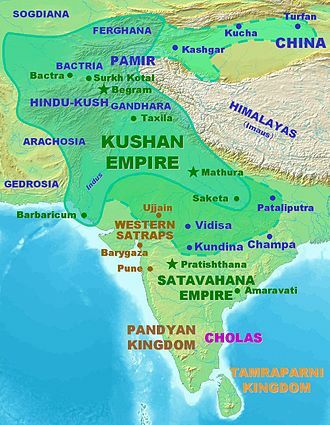 Karkota Empire was a powerful Hindu empire, which originated in the region of Kashmir and it was founded by Durlabhvardhana during the lifetime of Harshavardhan. Homa is a Sanskrit word that refers to a ritual, wherein an oblation or any religious offering is made into fire. A Homa is sometimes called a sacrifice ritual because the fire destroys the offering, the fire is the agent, and the offerings include those that are material and symbolic such as grains, clarified butter, milk and seeds. It is rooted in the Vedic religion, and was adopted in ancient times by Buddhism and Jainism, the practice spread from India to Central Asia, East Asia and Southeast Asia. Homa rituals remain an important part of many Hindu ceremonies, and variations of Homa continue to be practiced in current-day Buddhism, particularly in parts of Tibet and it is found in modern Jainism. A Homa ritual is known by names, such as yajna in Hinduism which sometimes means larger public fire rituals. In modern times, a Homa or Havana tends to refer to a private ritual around a symbolic fire, the Sanskrit word Homa is from the root hu, which refers to pouring into fire, sacrifice. Some sources treat the words homa/homam and havan as synonymous, Homa traditions are found all across Asia, from Samarqand to Japan, over a 3000-year history. A homa, in all its Asian variations, is a ritual that offers food to fire and is ultimately linked to the traditions contained in the Vedic religion. The tradition reflects a reverence for fire and cooked food that developed in Asia, yajna or the Vedic fire sacrifice ritual became a distinct feature of the early Sruti rituals. A srauta ritual is a form of quid pro quo where through the ritual, a sacrificer offered something to the Gods and Goddesses. This Vedic tradition split into Srauta and Smarta, the homa-style Vedic sacrifice ritual, states Musashi Tachikawa, was absorbed into Mahayana Buddhism and homa rituals continue to be performed in some Buddhist traditions in Tibet and Japan. The Homa ritual grammar is common to many Sanskara ceremonies in various Hindu traditions, the Vedic fire ritual, at the core of various Homa ritual variations in Hinduism, is a bilaterally symmetrical structure of a rite. The Homa rituals altar is itself a symmetry, most often a square, the sequence of homa ritual events similarly, from beginning to end, are structured around the principles of symmetry. A quincunx /ˈkwɪn. kʌŋks/ is a geometric pattern consisting of five points arranged in a cross, with four of them forming a square or rectangle and a fifth at its center. It forms the arrangement of five units in the corresponding to the five-spot on six-sided dice, playing cards. It is represented in Unicode as U+2059 ⁙ Five dot punctuation or U+2684 ⚄ Die face-5, the quincunx was originally a coin issued by the Roman Republic c. 211–200 BC, whose value was five twelfths of an as, on the Roman quincunx coins, the value was sometimes indicated by a pattern of five dots or pellets. However, these dots were not always arranged in a quincunx pattern, the Oxford English Dictionary dates the first appearances of the Latin word in English as 1545 and 1574. The first citation for “A pattern used for planting dates from 1606. The OED cites a 1647 reference to the German astronomer Kepler to the astronomical/astrological meaning, quincunx patterns occur in many contexts, In heraldry, groups of five elements are often arranged in a quincunx pattern, called in saltire in heraldic terminology. The flag of the Solomon Islands features this pattern, with its five stars representing the five island groups in the Solomon Islands. Another instance of this occurred in the flag of the 19th-century Republic of Yucatán. A quincunx is a pattern for planting an orchard. Quincunxes are used in computer graphics as a pattern for multisample anti-aliasing. Quincunx antialiasing samples scenes at the corners and centers of each pixel and these five sample points, in the shape of a quincunx, are combined to produce each displayed pixel. However, samples at the points are shared with adjacent pixels. In numerical analysis, the quincunx pattern describes the two-dimensional five-point stencil, in architecture, a quincuncial plan, defined as a cross-in-square, is the plan of an edifice composed of nine bays. The central and the four angular ones are covered with domes or groin vaults so that the pattern of these forms a quincunx. In Khmer architecture, the towers of a temple, such as Angkor Wat, are arranged in a quincunx to represent the five peaks of Mount Meru. Harihara is the fused representation of Vishnu and Shiva from the Hindu tradition. Also known as Shankaranarayana, Harihara is thus revered by both Vaishnavites and Shaivites as a form of the Supreme God, Harihara is sometimes used as a philosophical term to denote the unity of Vishnu and Shiva as different aspects of the same Ultimate Reality called Brahman. This concept of equivalence of various gods as one principle and oneness of all existence is discussed as Harihara in the texts of Advaita Vedanta school of Hindu philosophy. The diversity within Hinduism encourages a variety of beliefs and traditions. Some schools focus on Vishnu as the Supreme God, and others on Shiva, the Puranas and various Hindu traditions treat both Shiva and Vishnu as being different aspects of the one Brahman. Harihara is a representation of this idea. A similar idea, called Ardhanarishvara or Naranari, fuses masculine and feminine deities as one, depending on which scriptures are quoted, evidence is available to support each of the different arguments. In most cases, even if one personality is taken as being superior over the other, sivananda states and Vishnu are one and the same entity. They are essentially one and the same and they are the names given to the different aspects of the all-pervading Supreme Parabrahman the Supreme Being or the Absolute. ‘Sivasya hridayam vishnur-vishnoscha hridayam sivah—Vishnu is the heart of Shiva and likewise Shiva is the heart of Vishnu’, Swaminarayan holds that Vishnu and Shiva are different aspects of the same God. Notably, the Swaminarayan view is a minority view among Vaishnavites, Harihara is depicted in art as split down the middle, one half representing Shiva, the other half representing Vishnu. The Shiva half will have the locks of a yogic master piled high on his head and sometimes will wear a tiger skin. Shivas pale skin may be read as ash-covered in his role as an ascetic, the Vishnu half will wear a tall crown and other jewelry, representing his responsibility for maintaining world order. Broadly, these serve to represent the duality of humble religious influence in the ascetic. Karthikeya is the Hindu god of war. He is the Commander-in-Chief of the army of the devas and he is the primary deity of the Kaumaram sect of Hinduism. Murugan is worshiped primarily in areas of Tamil speaking populations, including Tamil Nadu in India, Sri Lanka, Indonesia, Singapore and Réunion. It is one of the few sites in Sri Lanka that is venerated by, Hindu Sri Lankan Tamils, Sinhalese people. In northern India, he is known as Kartikeya. He is known as Subrahmanya, Muruga or Palani Andava in Tamil Nadu and he was known as Mahasena and the Kadamba dynasty worshiped him by this name. The Shatapatha Brahmana refers to him as the son of Rudra, the Taittiriya Aranyaka contains the Gayatri Mantra for Shanmukha. The Chandogya Upanishad refers to Skanda as the way leads to wisdom. Baudhāyanas Dharmasūtra calls Skanda Mahāsena Having a Great Army and Subrahmaṇya beloved of Brahmins, the āraṇyaparvan of the Mahabharata relates the legend of Kartikeya Skanda in considerable detail. The Skanda Purana is devoted to the narrative of Kartikeya, the Upanishads constantly make a reference to a Supreme Being called Guha, the indweller. The Freie Universität Berlin is a research university located in Berlin and one of the most prominent universities in Germany. It is internationally known for its research in the humanities and social sciences, as well as in the field of natural, founded in West Berlin during the early Cold War period, its name refers to citys status as part of the free western world. Freie Universität Berlin is one of eleven German elite universities in the German Universities Excellence Initiative, winning a distinction for five doctoral programs, three interdisciplinary research clusters and its overall institutional strategy as an International Network University. Freie Universität Berlin was established by students and scholars on 4 December 1948, the foundation is strongly connected to the beginning of the Cold War period. The University of Berlin was located in the former Soviet sector of Berlin and was granted permission to continue teaching by the Soviet Military Administration in Germany in January 1946, the universities were increasingly influenced by communism as they were ground for the political disputes of the postwar period. This led to protests by students critical of the prevailing system, between 1945 and 1948, more than 18 students were arrested or persecuted, some even executed by the soviet secret police. At the end of 1947, first students demanded a university free from political influence, the climax of the protests was reached on 23 April 1948, after three students were expelled from the university without a trial, about 2,000 students protested at the Hotel Esplanade. By the end of April, the governor of the United States Army Lucius D. Clay gave the order to check for the formation of a new university in the western sectors. On 19 June 1948 the preparatory committee for establishing a university consisting of politicians, administrative staff members and students. With a manifesto titled Request for establishing a university in Berlin the committee appealed to the public for support. The municipal authorities of Berlin granted the foundation of a free university, the council-manager government accepted the by-law on 4 November 1948. View of Ajmer From Taragarh Fort. Vishnu ( holding Sudarshana Chakra) and Shiva (lighter coloured half, wearing tiger skin, holding Trishula) combined in a single Harihara murti, sometimes referred to as Sivakesavaand "Haryadhamurti". Statue of Harihara. This statue is the mortuary deified portrayal of King Kertarajasa, the first king of Majapahit (1293-1309) from the temple Candi Simping in East Java. 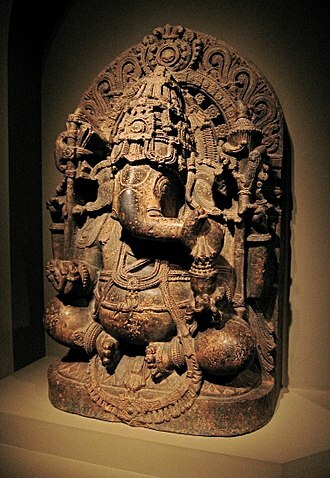 Harihara sculpture, British Museum. The left half represents Shiva (with the Trishula) and the right half represents Vishnu (with the Chakra and Conch).